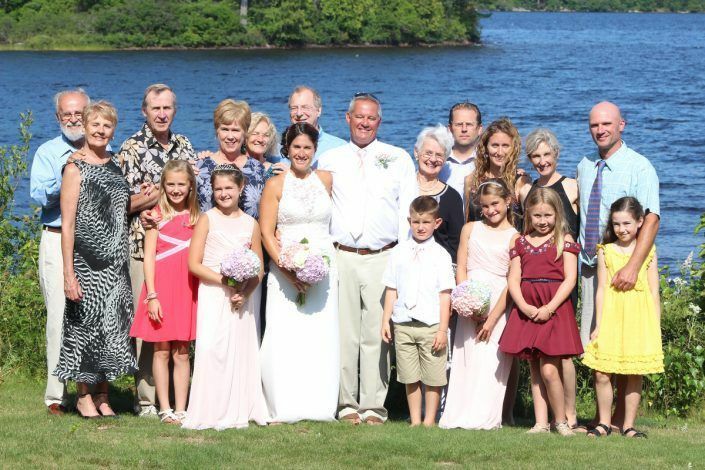 Couples looking for an intimate wedding venue may find Lake Parlin Lodge & Cabins of Parlin Pond Township, Maine to be the ideal spot. Surrounded by the serene beauty of nature, couples can gather their friends and family indoors or out to witness their exchange of vows in this rustic setting. 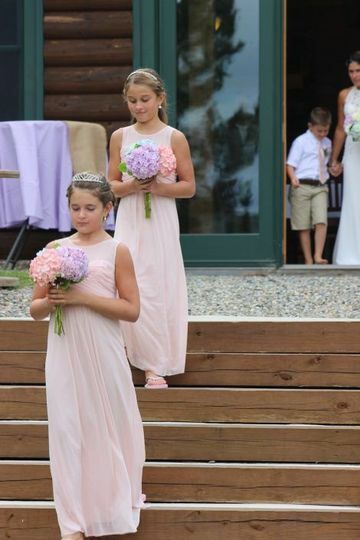 Celebrate and stay at Lake Parlin Lodge & Cabins. 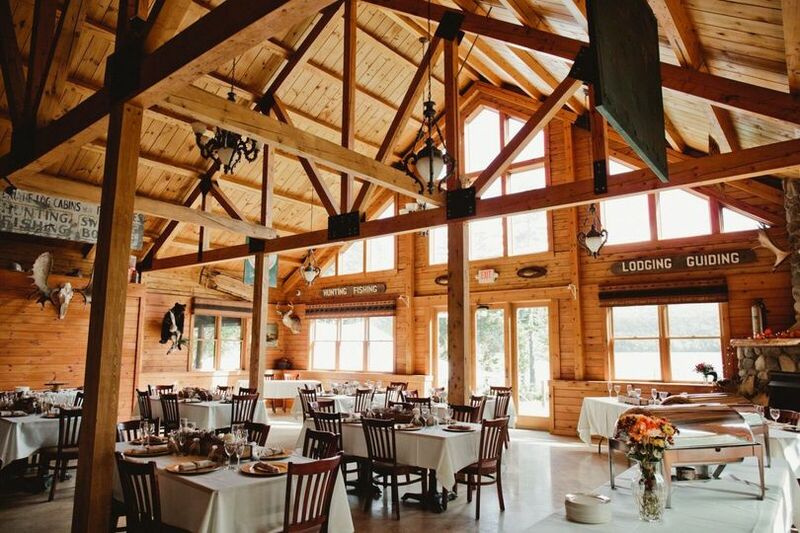 An ideal venue for smaller weddings, Lake Parlin Lodge & Cabins can host up to 75 seated guests in the main lodge dining room. Additional seating for 40 people is available in the bar area, which includes five high-top tables and 15 bar seats. 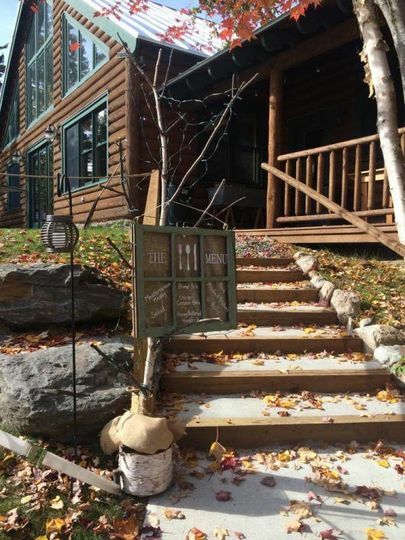 A rustic setting, the lodge is structured with vaulted ceilings and rich wood architecture. 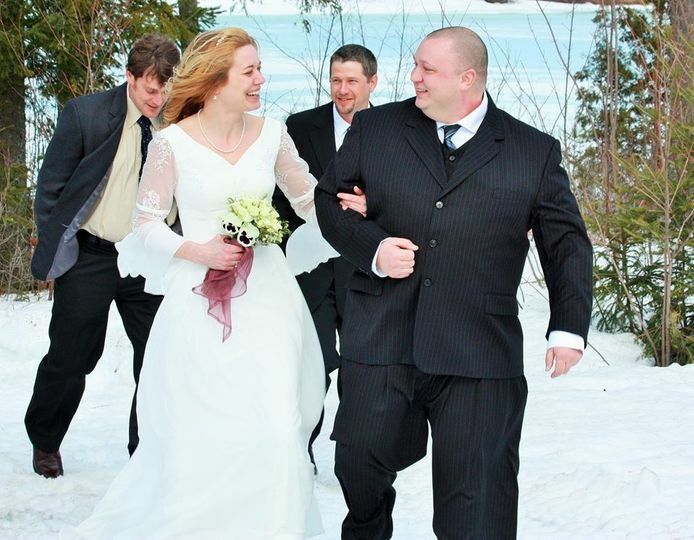 A couple who wishes to host up to 170 people can gather for an outdoor ceremony among the tranquility of the lake and woods. Sharing your love with one another as you exchange vows under a birch tree arbor can be a truly special and memorable experience. Socialize with your guests during a cocktail hour in the lodge or outside on the grounds. Dine under the tent for an outdoor gathering and then move into the lodge for a night of dancing. Dancing can be enjoyed in either the lodge or outdoor tent. 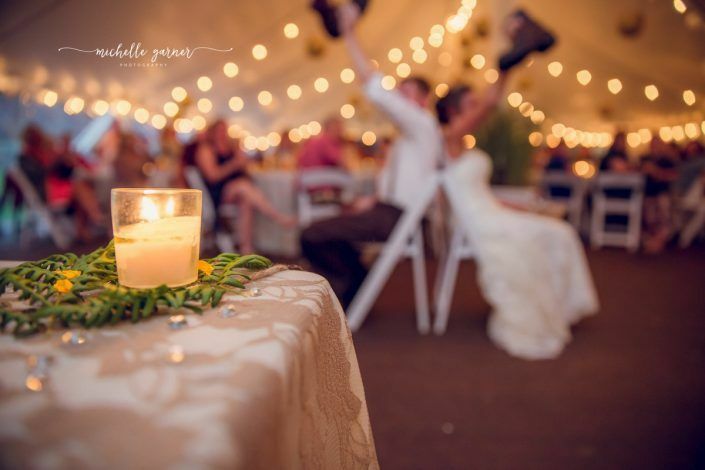 If a couple chooses to dine in the tent, dancing will occur in the lodge for adequate space. 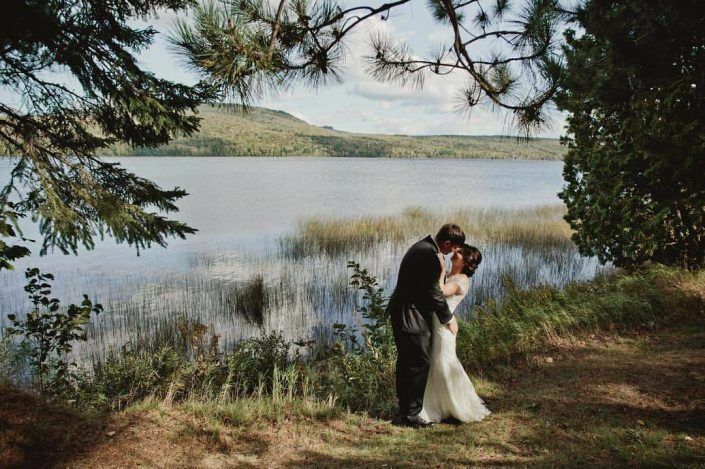 Lake Parlin Lodge & Cabins can adapt the space for your joyous occasion.